Dr. Chul-Won Ha is a professor of the Department of Orthopedic Surgery, Samsung Medical Center, Sungkyunkwan University. He is the chief of Knee Service (Arthroplasty, Arthroscopy, and Sports medicine) . He is also the director of stem Cell and Regenerative Medicine Institute of Samsung Medical Center, Seoul, Korea. He received his MD at the Seoul National University in 1989 and completed a specialization in orthopedics in 1994. In 1999, he received a PhD. He is the Executive Vice President of the Korean Society for Sports Medicine, Medical Committee Member of Korean Olympic Committee, Executive Board Member of Korean Orthopedic Research Society. He is currently the Chairman of Scientific Committee of the Korean Society for Stem Cell Research, and the Korean Society of Stem Cell & Regenerative Medicine for Locomotor System. 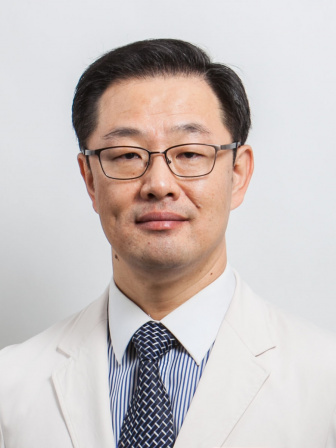 He is an Editorial board member of Journal of Knee Surgery & Related Research, Journal of Arthroscopy and Orthopedic Sports Medicine, Journal of Korean Orthopedic Association. His research has been focused on cartilage restoration with stem cells. He successfully commercialized a stem cell based medicinal product “Cartistem” which is approved for clinical application to restore the articular cartilage in osteoarthritis.